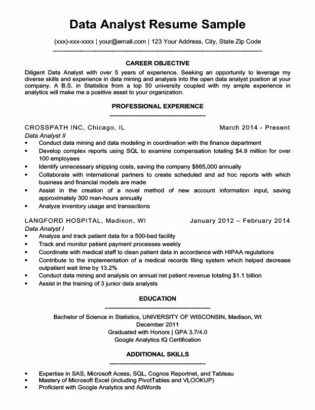 Hello and welcome to the Data Entry Resume Format Tips page. Here, you will find writing tips and resume samples that will ensure your resume’s success. However, if you’re short on time, don’t forget to try out our easy-to-use resume generator that will build your resume in minutes. Not the industry you’re looking for? 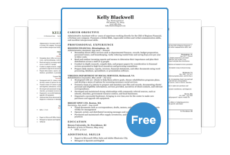 View all resume samples. Not in love with this template? View our database of HR-approved resume templates. If you need some help with drafting a cover letter after you’re done with your resume, check out our full list of cover letters examples. Data Entry Clerk with 4+ years of experience verifying complex data, inputting figures into client databases at a quick pace, and maintaining the confidentiality of sensitive material. Possess an excellent understanding of CRM software and a higher-than-average KPH rate. Writing the details or “meat” of a data entry resume may seem like a daunting and endlessly tedious task, but actually, with the right mindset you achieve great things with your data entry resume. For starters, here are two resume writing tips that will land you more interviews. Data entry clerks are most valued for their multi-tasking and efficiency, typing speed, and accuracy. Having software skills in Microsoft Suite is a must. If you’ve been a data entry clerk professionally for many years, add that information in too. Your career level will influence how you should write your resume. Having software skills in Microsoft Suite is a must. Make your resume stand out by including your typing speed in Words Per Minute or WPM, also include any other efficiency rates or targets achieved in numerical terms as this will jump off the page to whomever is reading it. Write your experience in reverse-chronological order, meaning that your most recent experience should be near the top. In this section, your goal is to convey how competent and successful you were at your previous jobs. Although some of this section will also be used to explain the duties you had at your old jobs, simply writing a laundry list of obvious job responsibilities is not going to impress the hiring manager. Looking to get a better understanding on what it means to write a winning resume? Check out our guide here. These should be in bullet points, and always begin with verb-phrases. For a more in-depth version of this, read our complete guide on how to write a resume. Data Entry lends itself perfectly to a work from home lifestyle because of its independent nature. With proper oversight and technical setup, working form home as a Data Entry Specialist is great option that other professions might not be able to offer. John Roberts from Standford Business points out some of the benefits of working from home in the video below. Because honestly, who else hates their commute to work? So, even if you have been working in the data entry industry for years, you may still be able to work from home if you take the time and effort to present a case for remote working to management. For mothers with young children or individuals with personal responsibilities that require close attention, working from home and be a great opportunity that allows for a productive work-life balance. The possibilities for data entry workers are endless, what will you do in the future? Do you already work from home? Let us know in the comments, we’d love to hear from you.